Holidays Made Easy: Digital Edition — SparkShoppe LTD. Although we’re in the business of staying connected and our devices rarely leave our hands, all of us at SparkShoppe realize the importance of taking it all in this holiday season and spending time with the ones we love. That being said, finding the time to spend can be a challenge in itself! However, technology is our friend and there are countless apps and websites designed to help you save time and money, especially during the hustle and bustle of the season. Below are a few of our favorite tools that help us stay organized, save money, and even entertain like a pro! Hootsuite- So you’ve successfully taken a family photo that (almost) everyone is okay with- how do you post to all your social channels so that all your friends can see? 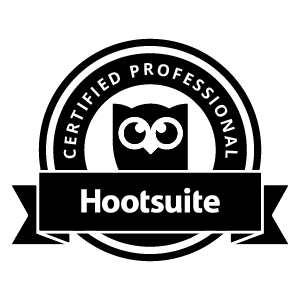 Hootsuite is our tried and true platform for both personal and business use. They make posting, scheduling and responding super easy and we love them for that! Google Keep- Google's note taking app Keep allows you to take notes and keep track of your to-do list no matter where you are. Your list syncs with your Google account so whether you’re on mobile or sitting at your desktop, your notes will be completely up to date! Google Keep allows you to make multiple checklists that are color coded so you can keep your grocery and holiday gifts list separate! If you aren't the only one doing the shopping, make your list collaborative so duplicates of an item are not purchased. You can even set reminders for specific tasks. This app has been a life saver for keeping track of work that needs to be done and items that need to be purchased! Honey- I will admit my browser is chock-full of app extensions; however, Honey is my favorite by far. Everyone is online shopping this time of year and it’s almost impossible to keep up with all the discounts and deals, this is where honey comes in! Once you’ve placed items in your shopping cart and are ready to check- out, simply click on honey and it will automatically scan the web for any discount codes that would apply to your purchase. It’s as easy as that! Photo by Certified Angus Beef. Promotional digital marketing flyer promoting the Certified Angus Beef “Roast Perfect” app. Roast Perfect- When it comes to holiday entertaining, I may have the baking portion under control; however, I certainly lack confidence when it comes to cooking a holiday roast. This new app from Certified Angus Beef is truly a lifesaver- it explains all varieties of roasts, the differences between each, and even gives you directions to your nearest grocery store. From there, simply tell the app how many people you’re serving and it will tell you approximately what size roast to purchase. The app will narrow down a recipe selection for you and even give suggestions on side dishes. Spotify- ‘Tis the season for festive playlists! Everyone loves holiday tunes, but who has time to create a playlist? No worries, because digital music services makes it a snap! While many people have their personal preference when it comes to streaming tunes, Spotify has remained my go-to because of their curated playlists and suggestions just for me. Their premium family plan for up to 6 users is also a huge bonus (unless you’re the one paying the bill). Hope these suggestions help you recoup some time this holiday season so you can more spend time with those you love!